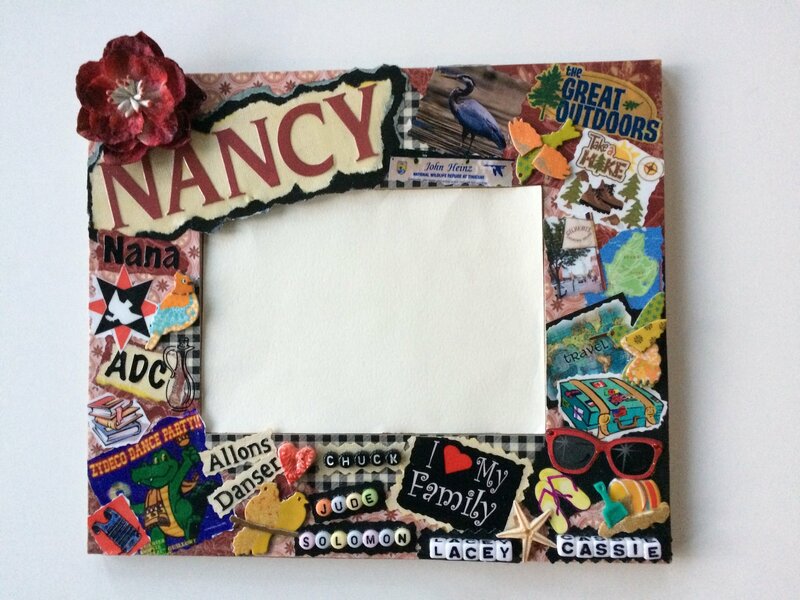 Come make a Collage Picture Frame and capture a person’s life at a glance. This workshop will get your creative juices going, and you end up with a wonderful gift to honor and remember a special person or event in your life... just in time for the Holidays. Each frame is personalized to reflect the interests, hobbies, family information, and travels that make a person unique. Collage Picture Frames make great gifts to commemorate any occasion: newborns, anniversaries, birthdays, holidays, weddings, retirements, or just to celebrate someone special. Everyone will appreciate these one-of-a-kind keepsakes. At the workshop, Melissa Levy, Workshop Leader, will provide a plain 8-1/2” X 10” frame for a 4” X 6” photo, with an easel back. She will also supply many items for you to choose from to add to your frame, including decorative paper, ribbons, buttons, stickers, letters, and numbers. Participants should bring items of your own to embellish your unique frame. Think scrapbooking. Bring photos, maps, ticket stubs, and logos. Download online images with color and impact. At the end of this 2-hour workshop, you will seal your final product with a durable clear glaze. You will leave with a creative picture frame for someone special in your life. "I strongly recommend Melissa's workshops!! Good instruction, support, supplies, fun, and pleasing results!"